Eight-cylinders, 420 horsepower, the BMW M3 E92 had been the fastest M3 so far. Another exclusive highlight was the M3 GTS, specially designed for motor racing and the four door M3 CRT. The M3 of the fourth generation was also a car for winners. In the first “DTM-Year” after a 20 year pause the BMW M3 DTM celebrates a spectacular season with Bruno Spengler winning the Driver Championship. BMW M GmbH is celebrating this success with the unveiling of the BMW M3 DTM Champion Edition. 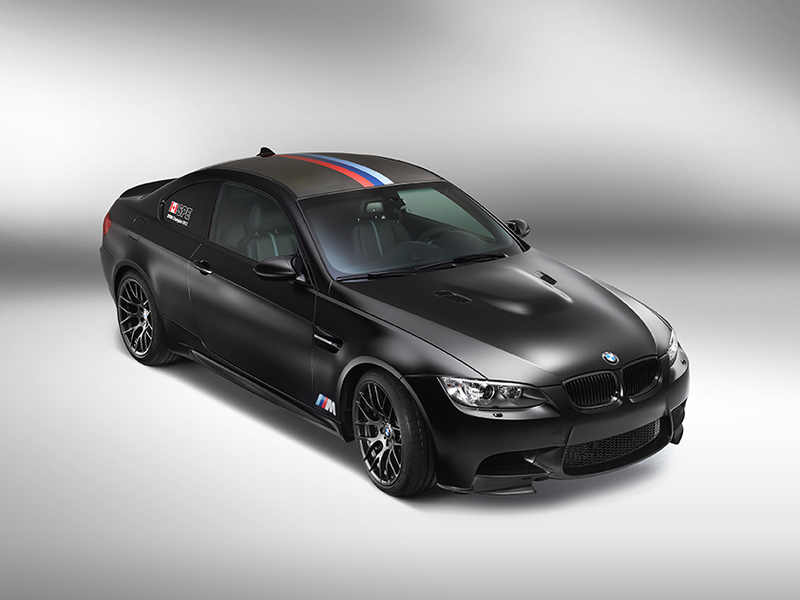 Mimicking the looks of Spengler’s racing car, this special-edition model is available exclusively in Frozen Black metallic, while the carbon flaps and gurney, various dark chrome elements, matt black wheels and sections of the race car’s livery also betray its close links with the triumphant BMW M3 DTM. The theme is continued by the BMW M stripe design over the CFRP roof and boot lid, BMW M logo to the rear of the front wheel arches and decals in the rear side windows. 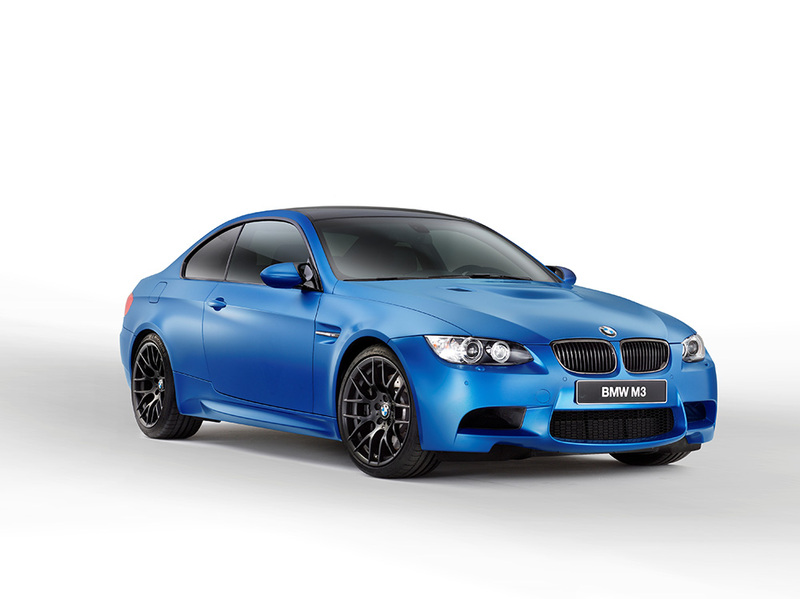 Woodcliff Lake, NJ – October 26, 2012 … BMW today announced the 2013 BMW M3 Coupe Frozen Limited Edition. 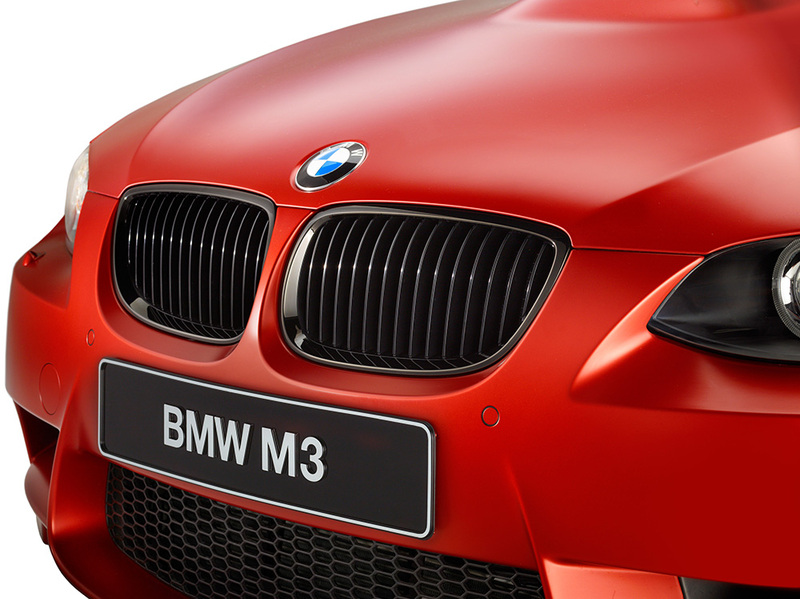 For the first time, the M3 Frozen Limited Edition will be available in a choice of frozen exterior finishes. Appropriate to this election season in the US, those choices are Frozen Red, Frozen White and Frozen Blue. The interior will sport black extended Novillo leather with contrasting stitching to match the exterior color. In total,150 examples will be available for US customers with production beginning in January 2013. In addition to the standard equipment included in the base MSRP of $76,395 (including Destination and Handling), customers will be able to tailor their 2013 M3 Coupe Frozen Limited Edition with a selection of optional equipment. Black Extended Novillo leather with contrast stitching in exterior color on seats, headrests, door inserts, armrests, middle console, and door pulls. Customers have the option to begin the relationship with their limited edition BMW M3 with either European Delivery at BMW Welt in Munich or with a Performance Center Delivery in Spartanburg, SC where a range of driver education experiences, including the BMW M School are available.